Live and work from home by renting right and enjoy the comforts of home. Furthermore, there’s no need to book a window seat to Italy; simply book an authentic overnight stay at Bruna’s Italian Accommodation for that genuine hospitable culinary experience right on your doorstep. 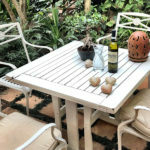 Italy is expensive – Pretoria is not, and far more accessible, too. Enrica Rocca is a world-renowned name that all foodies are familiar with – but this culinary delight is something visitors can only enjoy in far-off Europe. Bruna’s Italian, on the other hand, will offer you a hand’s on cooking experience with her Art of Making Pasta classes that will delight the fussiest of palates; and for those individuals that are a little too imbibed to drive, it might be a good idea to book a comfy bed for the night at one of the two well-kitted out apartments. Whether it is a temporary stay or something you need for a little longer – we have all the bases covered for visitors to our beautiful city, either for leisure purposes or for business or sometimes both. We are based a mere stone’s throw from the world-renowned Gautrain Station, Uber at the doorstep, numerous top-notch shopping centres to thrill shopaholics from all walks of life, and offer free Wi-Fi, free parking and fully kitted apartments with coffee and drink stations that will take your breath away. 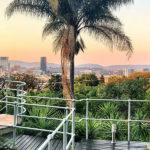 Slip into clean Egyptian cotton sheets after a long day’s exploring or work, or sip cocktails from the pool deck watching the sunset over the beautiful city of Pretoria. Bruna’s Italian is a jewel in the heart of city living – you will soon forget you are within close proximity to the hub-bub of city life.